The Queen’s Gallery Art Gallery Bangkok established since August 2003 display the work of Thai artists. Broken in two categories: the new thai artists unknown from the society and the work of senior honored ones. 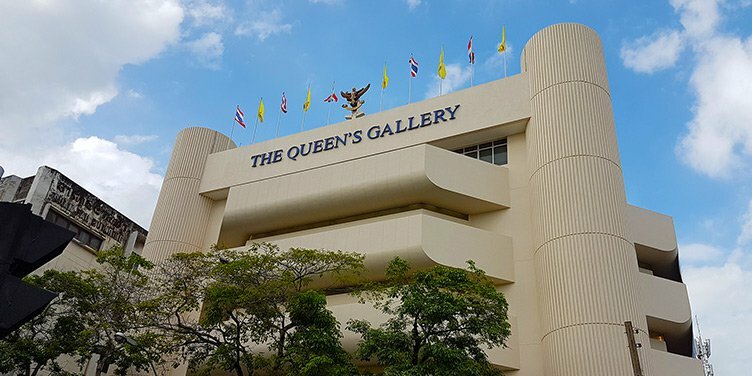 Set in the old Bangkok Bank office Phanfa bridge branch, Her Majesty following an award proceeding has been funding The Queen’s Gallery Foundation. Four floors of modern art displays with the the 5th floor use for activities in order to integrate the knowledge and publisize the previous thai works of art.